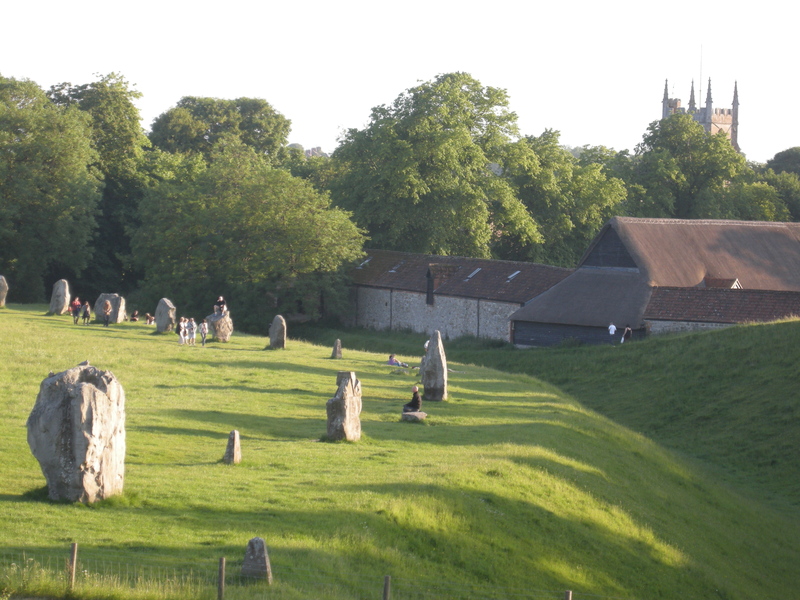 Sacred sites: A Pagan stone monument in the foreground and an Anglican church in the background at Avebury, United Kingdom. Just over two weeks ago on the International Day of the World’s Indigenous Peoples (9th August), Google caused a controversy by inviting indigenous peoples around the world to map their local geographic features on Google maps. In the United States of America, some welcomed this step while others decried it. So why did Google’s invitation divide opinion? In the United States, many tribal communities lack accurate maps for their land and therefore the National Congress of American Indians welcomed such mapping in the hope that the maps will be of huge help to the communities. Others thought that such mapping violates indigenous peoples’ spaces by divulging sensitive information and by exposing indigenous lands to exploitation. For example, Google Earth, which shows archived photos of most places around the world, has images of sites that are sacred to some indigenous peoples. Members of some tribes are uncomfortable with such public exposure to their sacred sites. This is a difficult dilemma. On the one hand, the reach of Google Maps and Google Street View is impressive, but on the other hand, such detailed coverage exposes indigenous lands to potential exploitation. So what are the risks and benefits to indigenous peoples of such mapping? There certainly are some risks. Exposing the location of some categories of land can invite increased and perhaps unwanted attention to those sites. This may also expose economically valuable assets of indigenous peoples and make them vulnerable to potential exploitation – perhaps valuable minerals or rare plants with medicinal properties. The exposure to indigenous peoples’ lands on the Internet would also mean that anyone can find out information about their lands and can potentially misuse it. On the other hand, there are many benefits. Recognizing indigenous peoples’ lands publically can create awareness about the purpose and meaning that certain sites have for the indigenous communities. Mapping these sites and documenting them through photographs and videos might also help capture some of the unknown functions that these sites serve for indigenous peoples. Drawing boundaries on the map can help indigenous communities to have these sites acknowledged and perhaps even safeguarded in cases where their legal status is disputed. So there are both risks and benefits. Indigenous communities are right in exercising the precautionary principle, but it is also worth pointing out success stories. The Soliga tribe in South India, for example, were able to establish their cultural presence by mapping their sacred sites and subsequently gaining access to land within the Biligiri Rangaswamy Temple Wildlife Sanctuary. On the other hand, the Dongriya Kondh of India’s Niyamgiri Hills are fighting a battle against open-cast aluminium mining on their sacred mountain. One wonders whether this long-drawn battle could have been resolved long ago if Niyamgiri Hills were publically mapped and acknowledged as a sacred site. With the global presence and reputation that Google has, could the power of their maps be leveraged to help indigenous peoples whose lands are contested in this way? Here is the link to my presentation on “Mapping the Sacred: Towards ‘indigital’ geographic information networks” (Bhagwat_Protecting-the-Sacred) at a conference, Protecting the Sacred: Recognition of Sacred Sites of Indigenous Peoples for Sustaining Nature and Culture in Northern and Arctic Regions (11–13 September 2013) in Rovaniemi, Finland. This entry was posted in Indigenous peoples, Mapping, Sacred natural sites. Bookmark the permalink.